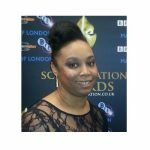 Serena Nalty-Coombs runs a Project Management Consultancy, SN Management supporting individuals, entreprenuers and business owners to achieve their goals. Serena has worked in the housing sector, young people’s support and advocacy services and as a Civil Servant, she has successfully supported award winner social enterprises and businesses including MPLOYME, Young Mothers Support Network and 3D Change and works with businesses both in the UK and abroad. She is co-founder of All Boys Rock and All Girls Rock.